Easy going, supportive atmosphere for building community and friendship across demographics. No experience necessary. Come in clothes you are willing to get dirty with good sneakers. Please see the rest of this site for examples of what Parcon looks like! It’s never too late to be a kid again! This is an idea in process. I would like to engage community organizers in a dialogue about best practices using the embodiment process of Parcon to facilitate our dialogue. WHEN: Some time in the end of July or beginning of August...it is time to round up interested parties. Who: I need to find community organizers who I can partner with...! if you have any please send them my way! "While we may not be aware of it. We are always in relationship with the people and world around us. Come join us in an interactive experience to bend the rules of how we move through and even become part of the city. This family friendly experience is brought to you through the collaboration of Parcon and DANCITECTURE. Parcon is a movement form that explores play through consent, boundary negotiation, and weight sharing. DANCITECTURE creates art installations to guide people into movement that re-patterns their habits in space. 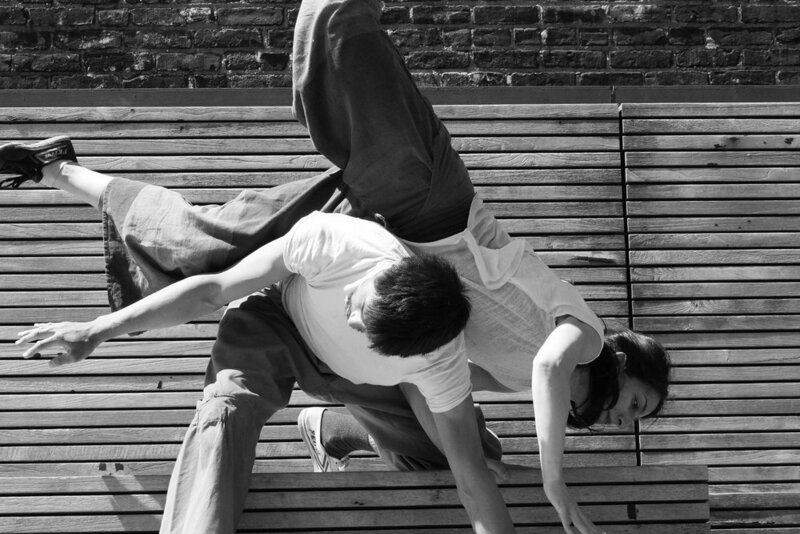 Together we will expand your perspective about movement in the city." Contact us if you want to come! Parcon NYC has been offered 50 tickets for our community! Parcon Resilience will represent the La Corsi Senior Center at the Union Settlement Health Fair. We will have a fun Parcon game to play with whistles and a module built by the Movement Creative.